Hsheima, who suffers from serious lung problems and is unemployed because of his illness, said on Saturday that an Israeli court gave him a time limit until 10 December to demolish his house for allegedly being unlicensed. He noted that he has paid over 160,000 NIS as a fine to the Israeli authorities for the house that was built 20 years ago. Hsheima explained that his house had one floor covering an area of 85 square meters, and in 1998, he decided to add other rooms and built a second floor to live there with his wife and four children along with his brother's family: his wife and six children. He affirmed that he repeatedly tried to obtain the necessary building permits but could not because of the tightened Israeli restrictions. Palestinians living in Occupied Jerusalem are often forced to demolish their own homes. Those who do not abide by the orders are usually subjected to steep fines. The Israeli-controlled Jerusalem municipality in most cases refuses to give the Jerusalemites the permits they need for their construction activities. According to Palestinian sources, 19 houses have been demolished in Jerusalem by their owners since the beginning of 2018. Israeli forces have continued carrying out demolition procedures on Palestinian homes, this week, beginning on Wednesday, with the destruction of several shops in the Shu’fat neighborhood of East Jerusalem, a major center for the city’s refugee population. Dozens of Israeli soldiers also invaded, on Wednesday, scores of Palestinian homes and shops in Deir al-Ghosoun town, north of the northern West Bank city of Tulkarem, after detonating their doors, firing many flares, gas bombs and concussion grenades. 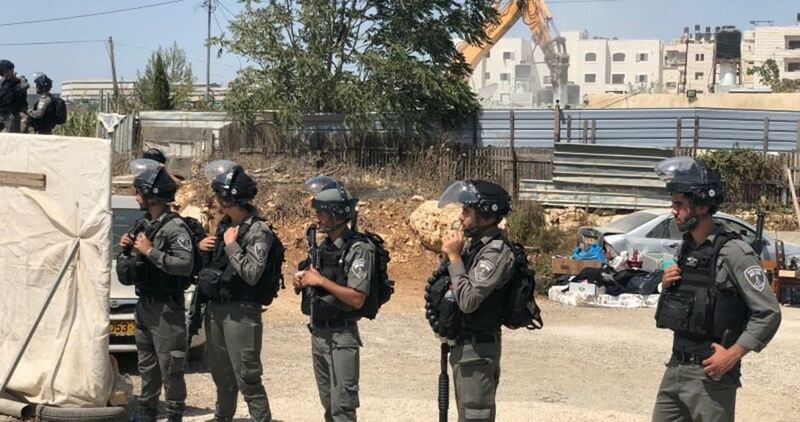 Israeli forces stormed Duma village, south of the northern occupied West Bank district of Nablus, on the same day, and demolished a Palestinian home under the pretext that it was built without the difficult-to-obtain Israeli permit. The following day, Israeli bulldozers demolished a Palestinian-owned family home, workshop, and a structure, in Rahat town of the Negev Desert region in southern Israel, under the pretext that the structure was built without the difficult-to-obtain Israeli permit. According to Ma’an sources, Israeli forces came with bulldozers and stormed the area, closed all main streets, preventeing residents from reaching the area. 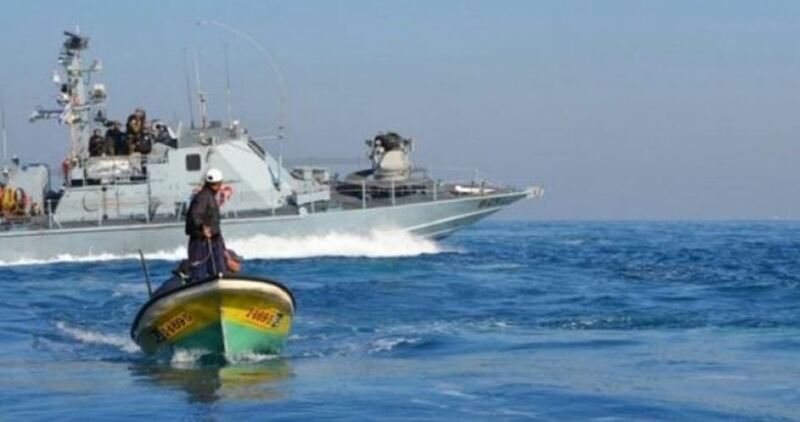 The Israeli occupation forces (IOF) on Friday morning kidnapped three Palestinian fishermen and confiscated their boat off the northern coast of the besieged Gaza Strip. A local committee documenting Israeli violations against Gaza fishermen said that an Israeli naval force kidnapped the fishermen, Mohamed al-Sultan, 27, Yousef Saadallah, 35, and Ahmed Saadallah, 25. The committee added that Israeli gunboats intensively opened fire at the boat the fishermen were aboard off the shores of al-Sudaniya area in northern Gaza before rounding them up and towing their boat to an Israeli port. Under the 1993 Oslo accords, Palestinian fishermen are permitted to fish up to 20 nautical miles off the coast of Gaza, but since then Israel has kept reducing the fishing area gradually to a limit of three nautical miles as part of its blockade on Gaza. Fishermen and human rights groups also say that, since the 2008-09 war in Gaza, the Israeli army has been regularly enforcing a limit even closer to the shore. Israeli military bulldozers demolished on Thursday morning a part of a Palestinian-owned building in the city of Lod, in central Israel. Israeli municipal authorities claimed that the house was allegedly built without the difficult-to-obtain Israeli permit. Few months ago, Israeli authorities delivered a demolition order against the whole building, hence the owner filed an appeal against its demolition. 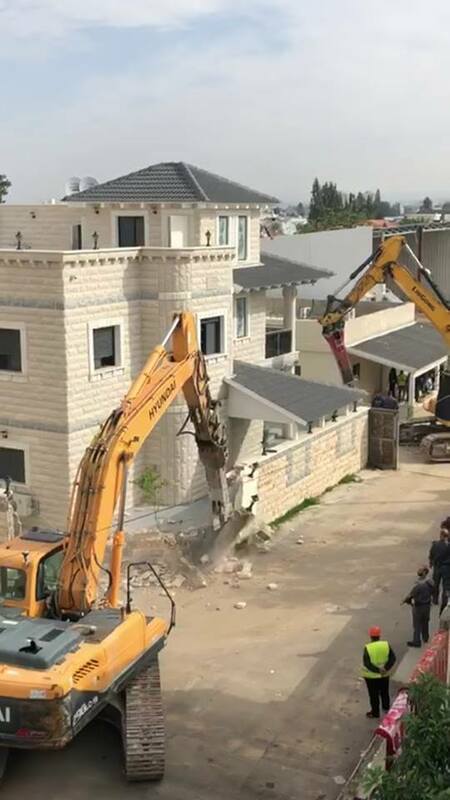 Meanwhile, Israeli bulldozers demolished a Palestinian-owned family home, workshop, and a structure in Rahat town in Negev, in southern Israel, for being allegedly built without permit. Early Thursday, Israeli forces along with bulldozers stormed the area, closed all main streets, and prevented residents from reaching the area. The Israeli government has plans to evacuate thousands of Bedouin residents to officially recognized Bedouin townships, one of which is Rahat, in order to build new housing units for Israeli settlers. Israel’s Supreme Court refused on Thursday a petition filed by scores of Palestinian families against an Israeli decision to evict them from their homes in Silwan town, in occupied Jerusalem. The court claimed that the families’ houses were built on a land owned by Jewish settlers before 1948, when the State of Israel was first established. The families lodged the petition with the Supreme Court after Ateret Cohanim settlement organization has submitted an appeal to the court demanding the eviction of more than 70 Jerusalemite families. Israeli bulldozers demolished a Palestinian-owned family home, workshop, and a structure, on Thursday, in Rahat town in Negev, in southern Israel, under the pretext that the structure was built without the difficult-to-obtain Israeli permit. 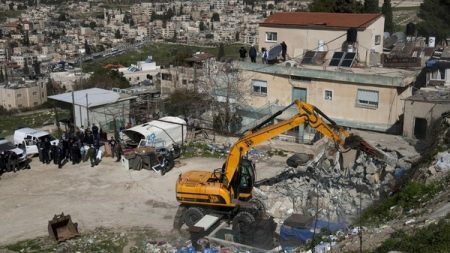 Israeli forces raided the Nabi Younis neighborhood, north of the southern occupied West Bank city of Hebron, and demolished a Palestinian carwash, on Thursday. 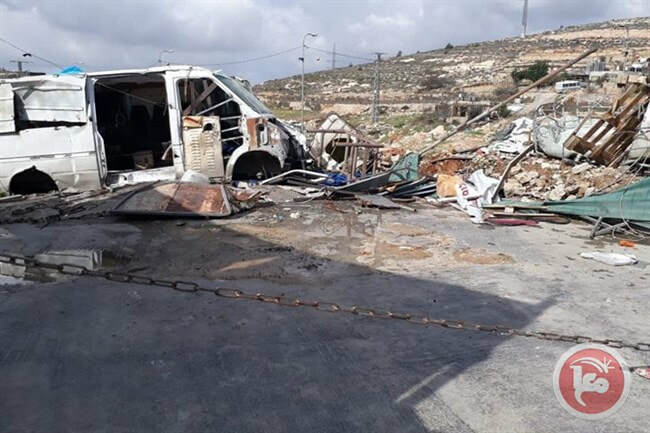 The owner of the demolished carwash, Muhammad Hussein Muraab, told Ma'an that Israeli forces raided the Nabi Younis neighborhood and completely demolished his carwash. Muraab also mentioned that Israeli forces confiscated all the equipment from the carwash prior to demolishing it. 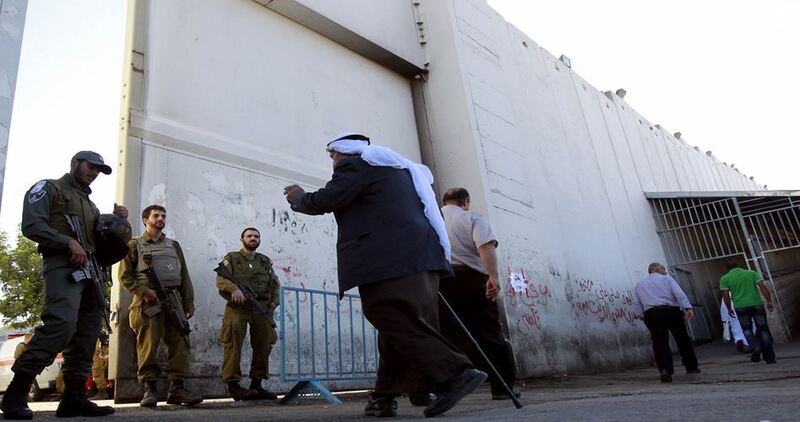 Muraab added that Israeli forces did not provide a reason for the demolition. 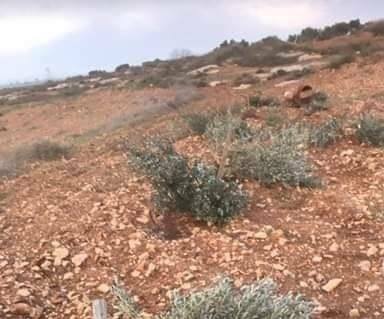 Israeli settlers razed dozens of dunams of Palestinian-owned agricultural land between the illegal Israeli settlements of Maskyot and Rotem, in the northern Jordan Valley, on Wednesday. Human rights activist, Aref Daragmeh, said that Israeli settlers from the illegal Maskyot settlement built a small structure and razed dozen of dunams of agricultural land, particularly used to herd sheep. Daraghmeh mentioned that Israeli settlers under the protection of Israeli forces regularly raze lands and seal off the area, preventing Palestinian farmers and shepherds from working. The majority of the Jordan Valley is under full Israeli military control, despite being within the West Bank. Meanwhile, at least 44% of the total land in the Jordan Valley has been re-appropriated by Israeli forces for military purposes and training exercises. 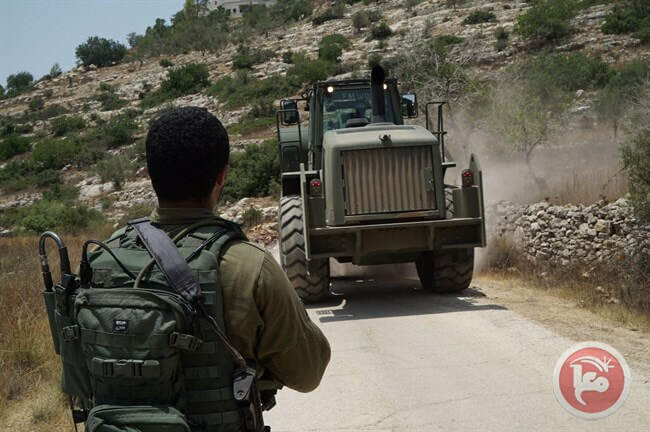 The Israeli occupation forces (IOF) on Wednesday evening handed a Palestinian citizen a stop-work order against an agricultural well in al-Khader town, south of Bethlehem in the West Bank. Local official Ahmed Salah said that Israeli soldiers gave farmer Mahmoud Ba’rah a written notice ordering him to stop building a well in Wadi Abu Hasan area in the town. He added that Ba’rah was given until January 3, 2019 to file an objection against the order. Dozens of soldiers, undercover forces, and personnel of the City Council, in occupied Jerusalem, invaded Shu’fat refugee camp, Thursday, and surrounded many areas, before storming and searching several buildings, and occupied their rooftops. Media sources said the soldiers were also accompanied by bulldozers, and invaded many areas, especially the main road near the military roadblock at the entrance of the refugee camp, in addition to Ras Khamis and Shehada areas. The soldiers also stopped and searched dozens of schoolchildren, in addition to several buses, and interrogated many Palestinians while inspecting their ID cards. The soldiers used bulldozers to remove the rubble of the demolished stores, after completely surrounding and isolating the refugee camp. On Wednesday at night, the soldiers invaded many areas in the refugee camp, and fired live rounds, gas bombs and concussion grenades at local youngsters, who protested the invasion and hurled stones at the army vehicles. Senior social and political leaders in occupied Jerusalem have warned that the escalating Israeli violations against Shu’fat refugee camp, are part of a wider policy arming at ending the work of the UNRWA there. 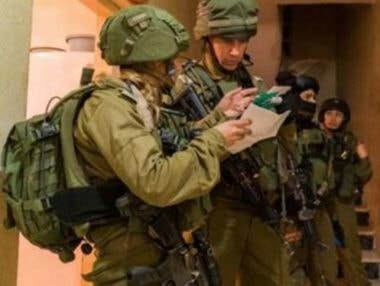 The Palestinian Prisoners’ Society (PPS) has reported that Israeli soldiers abducted, overnight until morning hours Thursday, 21 Palestinians from their homes, and illegally confiscated money from many homes, in several parts of the occupied West Bank. In occupied Jerusalem, the soldiers abducted four young men, after stopping a car that was transporting them in Jabal al-Mokabber. The PPS said the soldiers assaulted the four young Palestinian men while examining their ID cards, before abducting them. They have been identified as Mohammad ‘Oweisat, Ahmad ‘Oweisat, Mo’tasem ‘Allan and Mo’taz ‘Allan; they were moved to an interrogation facility in the city. In Hebron, in the southern part of the West Bank, the soldiers abducted a former political prisoner, identified as Saed Abdul-Raman Zama’ra, in addition to Yahia Issa Zama’ra, after storming their homes and ransacking them. The soldiers also installed many roadblocks on roads leading to various cities, towns and refugee camps, in Hebron, before stopping and searching dozens of cars, and interrogated many Palestinians while inspecting their ID cards. 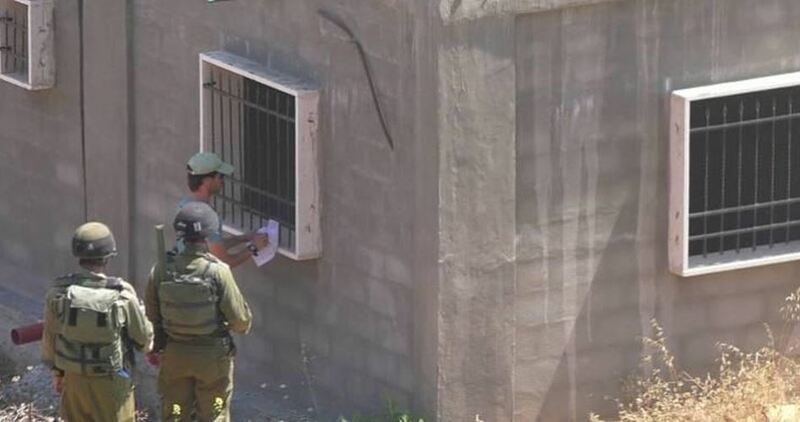 In Tulkarem, in northern West Bank, the soldiers searched many homes in ‘Ellar town, north of the city, and abducted Ehab Hosni, Salah Hijazi, Mo’taz Za’rour, Mohammad Abu Sa’ada, Nihad Jazzar and Fa’eq Kharouf. Eyewitnesses said the soldiers wired and detonated the doors of many homes in the town, before breaking into them. Owners of three of the homes have been identified as Badran Kharouf, Riyad Majadba and Abdul-Khader Abu Sa’ada. In Jenin, also in northern West Bank, the soldiers searched homes in Zabbouba town, west of the city, and abducted Ahmad Nasri Jaradat. In Tubas, in northeastern West Bank, the soldiers abducted Firas Hasan Daraghma, after invading and searching his home, in addition to Ra’ed Daraghma and Assad Saleh Abu Arra, who were taken prisoner at the Za’tara military roadblock. 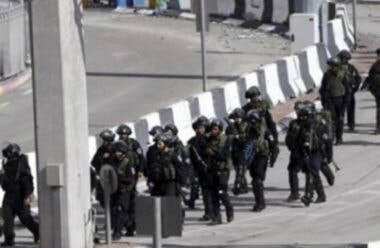 Furthermore, the soldiers searched many homes in the al-Khader town, south of the West Bank city of Bethlehem, and abducted the coordinator of the Popular Committee Against the Annexation Wall and Colonies, Ahmad Mahmoud Salah, 44, in addition to his brothers Ashraf and Emad; all are former political prisoners, in addition to Mohammad Ismael Mousa, 22. In related news, the soldiers illegally confiscated thousands of Shekels from the homes of several political prisoners, after invading them, and alleged locating weapons during searches in Hebron Governorate, in southern West Bank.